It will be nearly 10 years in 2018 since I 'woke up' to the political quagmire that is Maryland politics. My tag line is now, and has always been 'Maryland, let's make it a better place.' I've come to realize virtually everything that makes Maryland not-so-great is politics. I'm not a political person, but I've discovered that some radical Democrats set out to ruin this state and they've nearly done it. -Maryland's state senators are elected to a four-year term that begins on the second Wednesday in January after the election. -Maryland's state representatives are elected to a four-year term that begins on the second Wednesday in January after the election.  I'm creating this thread to help us as a group, focus on the 2018 election. I strongly feel that many of us, that have been disenfranchised, marginalized and largely ignored because we are conservatives, independents, libertarians, and even moderate liberals. Its the establishment politicians that have taken over and curated the Democrat Party (DP) in Maryland is our greatest enemy to making Maryland great again. It's the hardliners in the DP that has made such a mess of things, a combination of intimidators like Mike Miller (District 27), and people that know little or nothing about freedom, liberty, firearms, pure political creatures, like O'Malley, Brown and others that have chased off businesses, over taxed citizens, created welfare programs that have failed and created the largest number of 'entitled' welfare recipients ever in our states history. Baltimore was on the brink of failing, and Hogan is starting to make a dent, businesses are thinking about coming back, taxes are being scrutinized. 1) We will have the ability to vote in the Democrat primaries. In Maryland you can not vote in another parties primary only the party you are registered in. So when the Democrats are running against one another, we will be able to vote in mass for the better of the two. For many of us that are currently so out numbered, this may be the only meaningful vote we will have. We will be able to vote out some of the career politicians, the hardliners, by voting for their DP opponent during the primary. We can't get term limits right now, so this is the next best thing. 2) We will help stop gerrymandering. Hogan is taking this on now, and the DP need him to lose so they can lock in gerrymandering again in 2020. Supporting Hogan's efforts to 'fix this' crooked practice of carving up the state to give the DP all the power is an outrage. Gerrymandering has been done for decades now in Maryland, and has marginalized the majority of the people in this state. Look at Mike Miller in District 27, he is supposed to represent the people in his district, but because of gerrymandering, they have carved out just enough of PG country to keep him in power. He will be 75 years old in 2018, and needs to not run again, or be voted out. The DP use data such as how people are registered when they carve up the state politically to gerrymander; when most of us register as Democrats it will make it harder for them to cheat us out of our vote. 3) We will have a stronger voice when reaching out to our DP representatives, and stronger influence with moderate democrats. When I used to email, write letters, call and try to visit my representatives to discuss issues like the right to self defense with them; I was largely ignored. But now if I call and say I'm a registered democrat in their district and I vote, I get a lot more attention. All of our representatives have their staff look you up and see if in fact you are registered and live in their district. When I speak up at community meetings, often with conservative values or ideas, and say I'm a democrat, I make the hardline DP folks very nervous, and a lot of moderate democrats love it, and feel liberated to say how they really feel about the issues. 4) We will encourage more moderate democrats to run against establishment DP members. 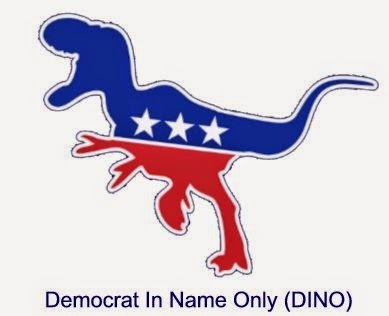 When moderate democrats, like the Libertarian Democrats, the Blue Dog Democrats, and many others realize that there is a strong DINO movement in Maryland they will run, and run hard against the crooked establishment Democrats. There have been a few instances of conservatives and independents running as democrats; all this is very healthy for our state. In private discussions with freshmen representatives, they will tell you how the DP, the established democrats that are bullying them into voting contrary to their conscious; they are threatened that they will not be assigned to the committees they want to be on, or that they will get no support for their district or reelection campaign. This is what happens when one party has all the power, and absolute power corrupts absolutely. We can break this vicious cycle with the DINO movement. There are other good reasons to become a DINO, we will explore those later in this thread. Maryland has a historically low voter turn out during a non-presidential election year; 2018 will be that year. Even fewer voters vote in their party primaries than vote in the general election. 2018 will be our year. Great points. I'd like to address those who say "I don't vote because it doesn't matter." This time around, EVERY VOTE MATTERS! The upcoming elections for the Baltimore Mayor and Bab's successor are just two examples. The races are acrimonious and divisive. The Dem's voting blocs are fractured. Vicious character assassination is right around the corner. If you're fed up with the senseless antics of Cummings and Cardin and their ilk in Annapolis, and tired of being ignored, your vote will make a difference. Your vote will matter because the Democratic Party is splintered, and they are going for each other's throat. Send a message! Register D! Vote! Even if we lose we will have put the incumbents on notice. NO MORE MACHINE POLITICS! Now, where did I put my meds? DINO! Almost always vote against the incumbent in the primary! EOD: Initial success or total failure. I stood outside the Timonium gun show several years ago wearing a hunter orange, DINO, t-shirt. Tried explaining DINO to folks and was handing out flyers. 99% of the people I spoke with either couldn't or refused to comprehend what I was saying. I could have coated a million donuts with the amount of glaze that covered their eyes. If you can't get folks to listen about their gun rights at a gun show, I don't know how to get folks to listen. Location: Southern Mount Airy, Md. Unfortunately, for me, I live in Montgomery County and all of the Dems ran unopposed the last 2 elections. I am contemplating changing that scenario. I am looking at running for a Delegates seat in 2018. I hate that there are no other names on the ballot. It's just not American!! "A citizen may not be required to offer a good and substantial reason why he should be permitted to exercise his rights. The right‘s existence is all the reason he needs." Unfortunately, for me, I live in Montgomery County and all of the Dems ran unopposed the last 2 elections. There's a LOT of that in PG too. I did the DINO thing last election cycle, just so I could vote against Jim Brochin in both the primary and the general. For 2016, there are some powerful reasons to be able to vote in the Republican primary, so I may switch back to R. Fortunately, changing party affiliation in Maryland can be done quickly and easily, so DINO in 2018 is a distinct possibility. Your vote is another cartridge in Liberty's rifle.